For nearly 100 years, when Central Massachusetts residents needed a Worcester home moving company, they’ve called Liberty Movers. Since 1920, we have provided quality services, exceptional customer care, and cost-effective pricing. Our long-standing BBB accreditation and the many awards and accolades our Worcester home movers have earned over the years are proof of our commitment to provide a hassle-free relocation experience to every customer. When you’re planning a move, call the area’s provider of trusted moving services since 1920! Full-Service Moving: When you choose our full-service moving option, you won’t have to lift a finger. While this is the most comprehensive choice, we also have custom moving packages to suit your needs and your budget! Professionally-Screened Employees: We carefully screen all of our household movers, so we know exactly who we’re sending to your home. Storage Solutions: Our secure storage facilities provide a safe place to store some of your belongings after the move. We offer both short-term and long-term storage, and will deliver your items right to your door whenever you’re ready. Specialty Moving: That baby grand? We can move it! In fact, we can handle all of your oversized, fragile, and valuable items with ease. When you’re planning your next move, call us first! A relocation coordinator will explain all of our residential moving services, and help you create a plan that meets your needs and your budget! 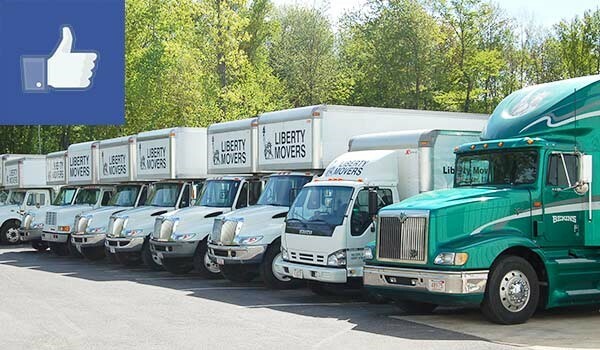 Give Liberty Movers a call today, or fill out our online contact form to schedule your free, no-obligation moving estimate.